This 3.3-mile Federal Aid Project included the landscape plantings and irrigation of over 3,000 trees and shrubs along Kennedale Parkway (BU 287). Shield Engineering Group was in order to guarantee funding and the engineering plans were completed start to finish in extremely short amount of time. 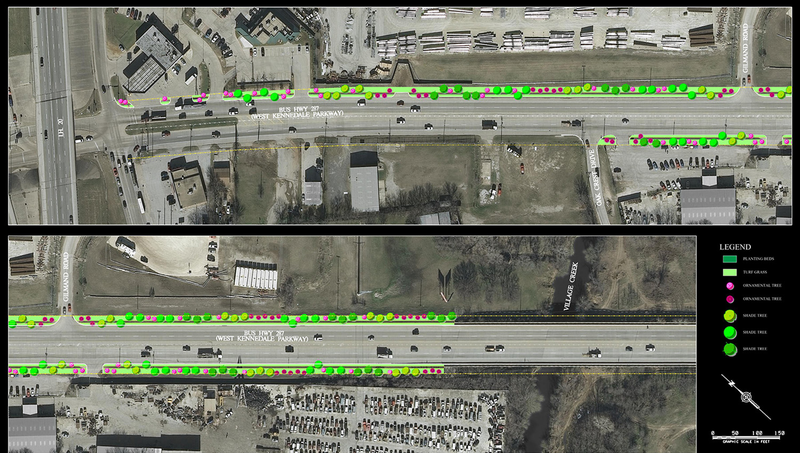 The Shield team completed the job with minimal City and TxDOT feedback, and the plans used have also been a guide for other consultants working on similar “green ribbon” projects.